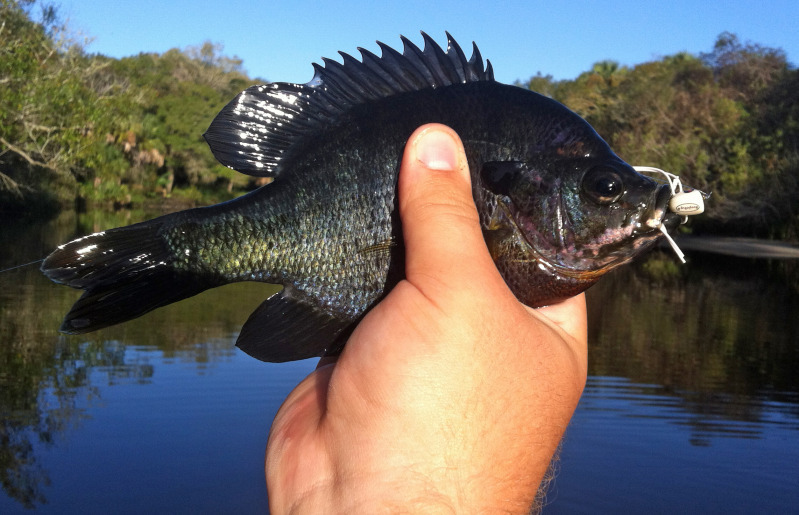 St. Johns River-Look for bluegills between SR 50 and Lake Monroe. The area between Astor and Sanford is also worth investigating. Incidentally, don’t forget to check out the banks for stumpknockers. Lake Kissimmee-After the recent drawdown, Kissimmee may offer the best bluegill and shellcracker fishing in the state. Lake Okeechobee-Once again, a strong contender for bluegills and shellcrackers. Water levels will be down by April, so look for firm, sandy bottom in two to five feet of water. Top locations should include the Rim Canal, Indian Prairie, Fisheating Bay, West Wall, Bay Bottom and Pelican Bay. Lake Panasoffkee-Look for shellcrackers at Shell Point, Grassy Point and Tracy’s Point. Also, warmouths in Little Jones Creek. Lake Talquin-Should be a good year. Try the upper end of the reservoir for bluegills and shellcrackers. Tenoroc-This 13 lake management area near Lakeland has the highest bluegill and shellcracker catch ratio in the state. Lake Harris-Both “large” and “small” Lake Harris boast heavier than average bluegills and shellcrackers. Lake Marian-Good bluegill fishing turns off and on without warning. However, this Osceola County “sleeper” should offer memorable action with shellcrackers. Lake Istokpoga-Best-known for its bass fishing, Istokpoga supports good bluegill and shellcracker populations. Check cattail areas from April through June; otherwise, look around sandbars and edges of eelgrass. Lake Jesup-Between April and July, a top bluegill and shellcracker hotspot. Choctawatchee River-A shellcracker fisherman’s dream. Also known for redbreast, stumpknockers and warmouth. Suwannee River-A good bluegill and shellcracker river. Truly celebrated, however, for its stumpknockers and redbreast. Best fishing is in the lower section.